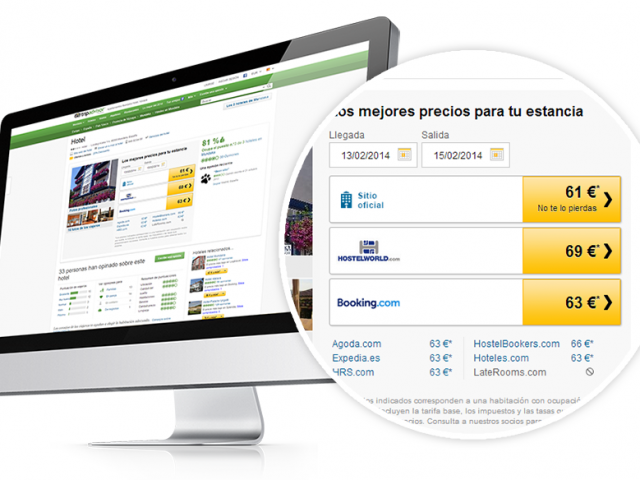 News > What is metasearch marketing and how can it work for my hotel? What is metasearch marketing and how can it work for my hotel? Metasearch sites such as Kayak, Wego, TripAdvisor and Trivago present travelers with hotel inventory and pricing from around the web, and combines the results received from all sites and displays them in one location. Metasearch sites, which originally made their revenue from affiliate commission fees paid by OTAs for completed bookings, have introduced a bid-for-placement model in which they now receive payment for delivering traffic. This gives hotels the opportunity to bid against OTAs to get direct bookings. 1. Set your rate lower than the OTAs. The metasearch algorithm makes sure the lowest rates are displayed near the top of the search results. However if an OTA has a similar rate but your cost-per-click (CPC) is much lower, then your rate won’t be able to compete. The solution is to balance the right CPC that isn’t too low and have a rate that is lower than the competition. To achieve this we suggest a month of testing your CPC to see what works best, and continue to fine tune until you get success. 2. Competing for the top spot. OTAs like to take the top spot on metasearch sites to that they drive as much traffic as possible to their website on the premise that users will stay and look around and book something even if the original hotel isn’t to their liking. Hotels on the other hand, have limited budgets and don’t have other options for visitors who often click around while researching options before booking. Our advice is to be visible but not necessarily at the top and also introduce urgency tactics on your website to encourage direct bookings. TripAdvisor. As this site is still used by the majority of visitors as a source of research, you may receive many clicks but a low conversion rate, in this case you can set a low cost-per-click. Google. There is no doubt that being visible on google has major benefits, however this is a very expensive exercise and the cost of advertising may not be a profitable option. An alternative option which may be more cost effective is Google’s hotel ads commission model which is similar to TripConnect. 4. Design updates. Metasearch sites are continually developing their websites to optimize bookings and conversion rates. Even the most subtle changes can affect your revenue, so it is worth regularly checking for design changes and monitoring your success. Also make sure your latest hotel information is used as some sites use outdated content which could also have a negative effect on bookings. 5. Continuously monitor and test. Metasearch advertising needs to be monitored and maintained to ensure optimal results with the aim of increased direct bookings for the best possible return. To do this hotels need to keep track of ad spend, conversion rates and test different CPC rates to continually improve results. Metasearch marketing can produce excellent return on ad-spend if managed continuously and carefully. If your hotel just doesn’t have the staff or expertise to achieve this, the team at Web Connection can help. Contact sales@webconnection.asia to arrange a no-obligation consultation.